Chanteur & fiddler Country US né Leon Bourke à Kaplan (Louisiane). 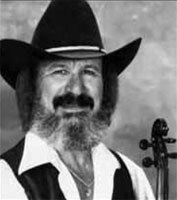 Referred to as "the Cajun Gentleman Fiddler," Frenchie Burke was born Leon Bourke in Kaplan, LA. While still a youngster, he received his first musical lesson from his grandfather. His teeth were cut playing in local bands, and it was during these performances that he began developing his flamboyant showmanship. Shortly after his family moved to Texas, he joined the U.S. Air Force and continued to play, taking first place in one of the U.S.A.F. 's annual talent contests. Following his stint of service, he took up a job as a machinist in Houston and played fiddle on the side, alongside the likes of Ray Price, Johnny Bush, and Jimmy Dickens. 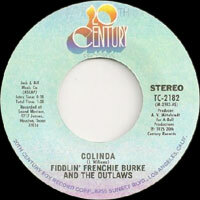 He finally began his professional recording career with Bush, and then a series of his own albums followed, beginning with 1974's Fiddlin' Frenchie Burke & the Outlaws (20th Century Fox). "Big Mamou," a Cajun waltz, gave him his most commercial success, reaching the top spot on the country chart. By the end of the '80s, he had several albums to his credit. After beating cancer, he continued to record and perform on throughout the early 2000s, including the albums Fiddlehead and Frenchie Burke's Dance Album. 1981 SP DELTA 11334 (US) Poor Hobo / ?